VANCOUVER, BC – The creator of a new “beer tasting tool for anyone who enjoys good beer” has announced the launch of a crowdfunding campaign via Kickstarter. The Palate Deck is a set of playing cards that provide beer information and casual tasting guidance for the many conversations that happen over beer. There’s never been more consumer interest in great beer, and this new tool will allow anyone from beginning tasters to beer experts alike to truly understand what’s in their pint glass. 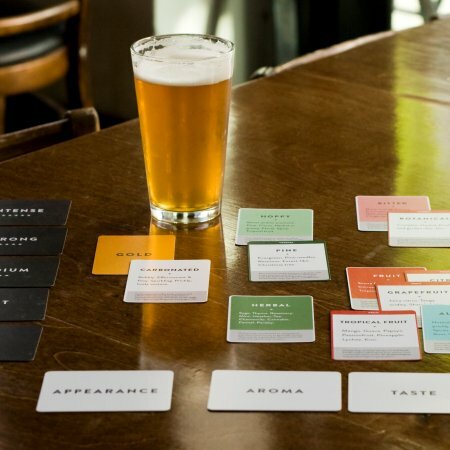 Featuring common flavors and sensations present in beer, players are asked to match the cards to what they’re tasting during a quick 10 minute round that can be played anywhere great beer is enjoyed. Simply by using the Palate Deck, players will learn more about their beer and their tastes, and why the flavors they’re experiencing are present in the beer… for any beer. Shea is aiming to raise $40,000 for the project, and is offering a number of pledge perks on Kickstarter including Palate Deck sets, tasting glasses, in-person guided tasting sessions, and customized card sets. For more details, see the Kickstarter campaign page and the Palate Desk website.